Almost Every little girl would dream about owning one of the super expensive dolls and most to no avail. 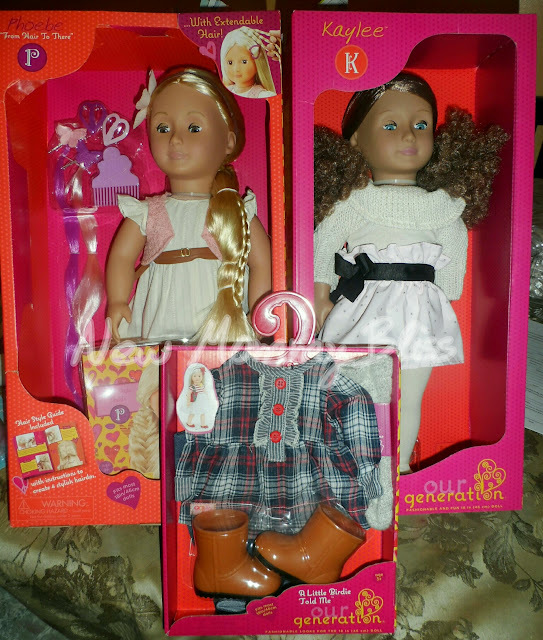 Then Our Generation Dolls came along as the new Game changer! 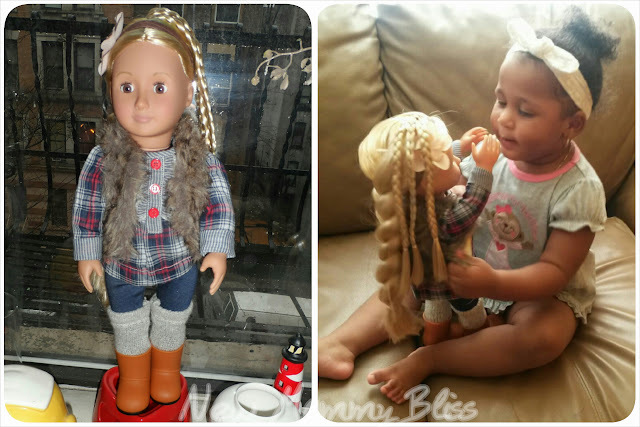 I am In LOVE with these beautiful 18" dolls and was ecstatic to be given the opportunity to review two of the beautiful dolls along with a stylish outfit. The OG collection includes a variety of pose-able and non pose-able 18" dolls with accessories including a 4 x 4 Jeep, horses, scooters, chairs, salon set, kitchen, diner, clothes, and so much more. Kaylee is a beautiful, medium toned complexion doll whose two curly Pigtails and realistic lip color make her stand out from the rest! She has caught my eye numerous times when I've walked into stores. Her hair is super soft and very easy to style for older girls. Young girls would probably turn it into a bird's nest being as it's curly. Her included outfit is a Knitted shrug, Sleeveless shirt, a pink skirt with black satin bow, and black flats. 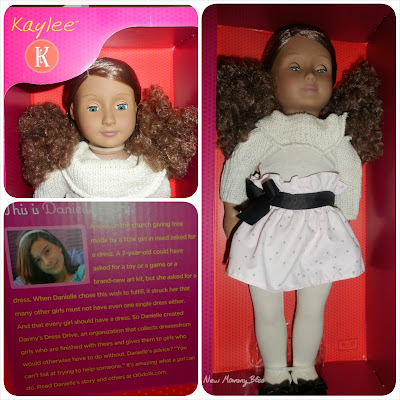 I love the Kaylee doll so much because she kind of looks like my Gabs. The poofy pig tails, the beautiful complexion, etc. The only difference between them is the lip color and the Sea blue-ish eyes that the OG doll is sporting. Even though Kaylee was supposed to be for Gabby, she quickly changed her reaction when she saw the Hair to There Phoebe doll. To her, Phoebe looks like Elsa. And guess what we had to change her name to.... Elsa. Kaylee will be going under the tree for Lala. From Hair to There Phoebe is an OG doll who's hair grows. 3 Long braids on her head extend and Retreat with the twist and push of a button. You can keep the braid short, Mid-way, or extended all the way down. She comes with a comb, pink and purple extension clips, and a styling Guide. Her outfit consisted of a beautiful beige dress, Brown wrap around belt, pink sweater and pink ballet flats. We immediately changed her outfit to the Mad About Plaid Ensemble. The Mad about Plaid Outfit set retails for $15 and includes a plaid tunic, Jeggings, socks, and brown boots. I added the fur vest from our Claire doll to give her outfit a little kick. 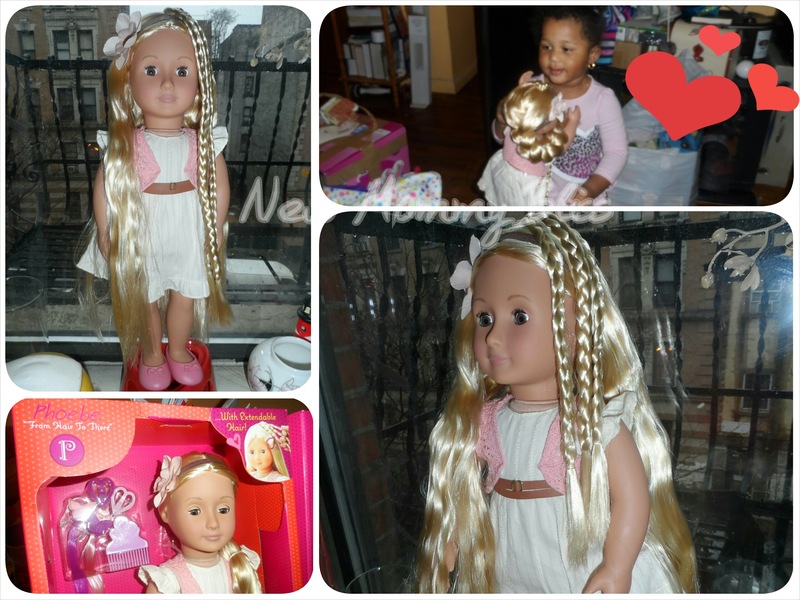 Overall, I am very satisfied with our dolls and would highly recommended the Our Generation Dolls to parents and collectors alike. This won't be my Baby's last OG doll. I promise you that! Sold at Target and on Amazon. Hurry up and get them before Christmas! You won't be disappointed. Visit the Our Generation Dolls Website HERE! Ok, I am dying to get one of these dolls for my daughter. I want her to grow up with her dolls from her very first year.